Time Magazine loves it some some Democrats from north-central Orange County. 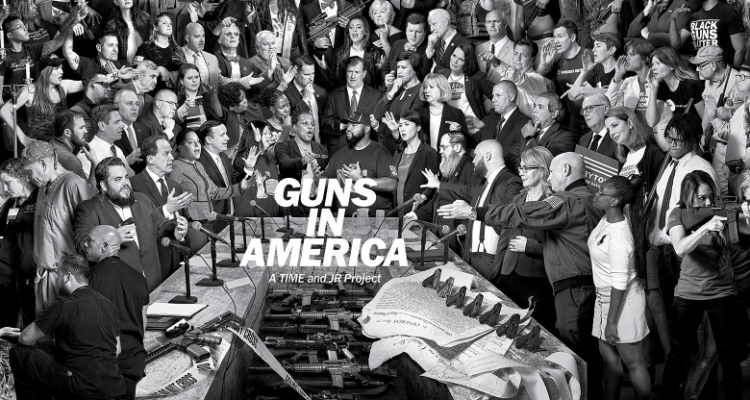 The magazine’s latest issue, hitting newsstands Friday, features Democratic U.S. Rep. Stephanie Murphy of Winter Park almost front-and-center in a huge crowd of gun law debaters, in a digitally-created photo collage depicting America’s gun debate. The photo with Murphy in the center graces the cover of the paper magazine and is used as an interactive video on the magazine’s webpage. She also is quoted in the magazine. Coincidentally her campaign says, Murphy’s campaign also is releasing a new television commercial Friday in which she briefly talks about her views on gun laws. In Time’s on-line presentation, the collage is an interactive video, and her comments can be heard when viewers click on her image. She talks about how the 2016 Pulse nightclub massacre motivated her to run for Congress and how she sought bipartisan support for gun law reforms, including her successful effort to remove the 22-year ban on federally-funded gun violence research. Murphy is facing a challenge from Republican state Rep. Mike Miller. She’s the second Democratic politician to grace the cover of Time this year. 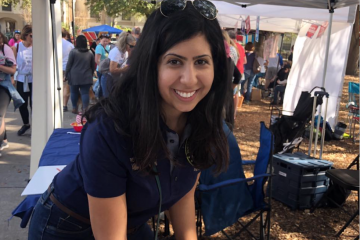 Last January House District 47 Democratic candidate Anna Eskamani of Orlando was featured as one of “The Avengers” Time described as women “avenger” candidates moving into politics. Eskamani’s House District 47 is within Murphy’s Florida’s 7th Congressional District, and the two often campaign together. Murphy’s campaign released a statement this morning announcing both the Time magazine participation and her new television commercial, which talks to people in an Orlando diner, and mildly discusses guns. “And the reason I love this country is that I owe this country my life. It’s about getting things done in a Washington that is so gridlocked,” she says in the commercial We should keep the most dangerous weapons out of the hands of the most dangerous people. We can find common ground so that we can move this country forward,” she says in the commercial. The commercial is going up on Orlando TV Friday.